Posted on Thursday, November 19th, 2015 at 12:00 pm. Who Is Arthur Chu? is a documentary feature executive produced by 3-time Academy Award winner Mark Jonathan Harris, about the controversial Jeopardy! champion and Taiwanese American internet celebrity. The film follows Arthur from his hometown of Cleveland to Los Angeles (where he competes in the Jeopardy! Tournament of Champions) and then finally to Taiwan. The film examines Asian American stereotypes, the relevance and impact of TV game shows on society, the changing nature of the American dream and the effects of fame in today’s viral world. 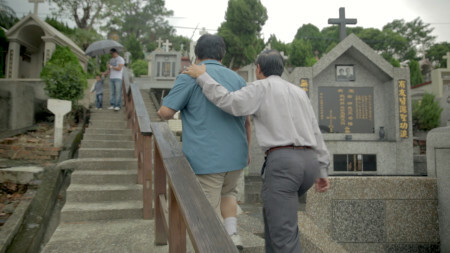 TaiwaneseAmerican.org asked the director/filmmaker team of Yu Gu and Scott Drucker to share some of the behind-the-scenes story for this project. Their team is currently seeking crowdfunding support for post-production. After following Arthur Chu for more than a year, through all the ups and downs of viral celebrity and public speaking, we found ourselves wrapping up production in the country where it all started for him, the one, the only — Taiwan. Arthur is the insurance analyst from Cleveland, Ohio who “hacked” Jeopardy! last year and won big, causing a torrent of often racially-tinged hate. He then leveraged his newfound online celebrity to battle dark forces on the internet as a blogger and cultural pundit, tackling searing issues from misogyny in nerd culture to racism in America. Arthur is determined to not only help our society rid itself of its “f*cked up” qualities, he also struggles to purge himself of his own demons as a long-time angry nerd. One source of anger for Arthur has always been his contentious relationship with his ethnic identity, and by extension, with his family who immigrated to America from Taiwan. In July of this year, Arthur was invited to speak about his experiences as at TANG (Taiwanese American Next Generation), a summer camp for Taiwanese American teens. We traveled to Pennsylvania to document this experience, and we were floored by the genuine sense of community and encouraging atmosphere of this camp. One parent, Tim (named after “Taiwanese Independence Movement”), put it into context for us, “We wanted to take our kids to a place where they feel like the majority for once.” Arthur spoke about online bullying and his personal journey, and the teens engaged him in candid conversations about their own issues. In this environment, Arthur really started to think about his identity, questioning why he spent so many years rejecting his past as he rebelled against his father’s vision of success, and fought to be accepted in predominantly white communities. When we arrived in Taipei, Taiwan, we met Arthur’s entire extended family. Unbeknownst to us, Arthur’s dad was also visiting from California. We documented a heartfelt family reunion at the Grand Hotel, and a family prayer at a mountainside grave belonging to Arthur’s grandfather. We discovered that his grandfather was a part of the KMT navy, and arrived in Taiwan in 1949. The complex and contentious history of this island emerged as we talked more with his family. Arthur studied modern Asian history in college, but this was more real than any textbook. He began to reflect on the part of him he was so intent upon erasing, and he began to recognize the wealth and beauty of his family’s experiences. 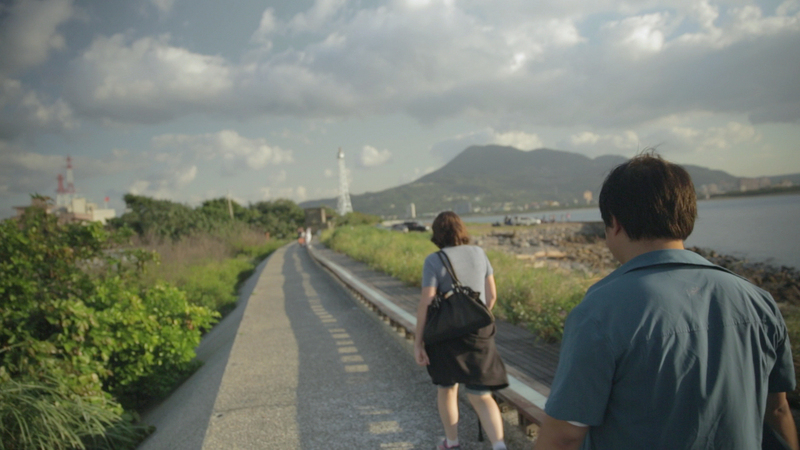 For us as filmmakers, the trip to Taiwan inspired us profoundly. It gave us perspective on Arthur’s entire year, his motivation for everything from winning Jeopardy! to writing passionately about the issues that matter to him. Taiwan is truly a special place, an island of dreams, at times wonderful, at times violent, and always diverse. It holds the seed of democracy, so crucial in the region. In the end, we’re striving to make a film where you don’t have to call yourself Taiwanese, or Chinese, or American to identify with Arthur’s journey. The film will be a nuanced and intimate character study of a singular individual, coming into his own at a critical juncture in history. Arthur’s story bridges traditional media with online media. He is an Asian American who grew up in an immigrant family, and went on to destroy previous notions of the model minority. His journey redefines the American dream on his own terms. The film also explores the emotional and psychological toll of putting everything on the line, not only for Arthur, but also for his family. We want people to watch this film and come away with a renewed sense of empathy for others. In our globalized and interconnected world, we need empathy and tolerance now more than ever. After coming back to America from Taiwan, we assembled a great team to collaborate with us in the post-production phase. Hailing from South Korea, Brazil, and of course, Taiwan, they’re all multi-layered world citizens. Our composer, Alex Zhang Hungtai (formerly Dirty Beaches), was born in Taiwan and grew up in Hawai’i and Canada. Editor Rafael Moraes worked with James Franco on his film adaptation of “Don Quixote.” Sung Rok Choi, our sound designer, was responsible for the soundscapes of “Snowpiercer” and worked with Park Chan-Wook. 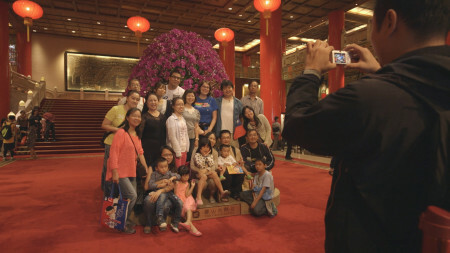 With a grant from the Center for Asian-American Media, we were able to finish shooting in Taiwan. We have just launched an Indiegogo crowdfunding campaign to help complete this film. We’re looking for supporters to help us bring this moving and universal story to viewers around the world. Join our movement for a more just and tolerant world.